Tommy & Atticus started with a simple idea. Make bread using simple whole ingredients, a wild sourdough starter and a whole bunch of time. You know, the way bread should be made. Garrett McPerry established Tommy & Atticus in the fall of 2017 with the mission of bringing traditional naturally leavened bread to Los Angeles. Before a single loaf of bread could be baked, Garrett first needed to cultivate and maintain a sourdough starter. Not wanting to take the easy way out, he embarked on the long and confusing process of cultivating a wild sourdough starter from scratch. After many failed attempts and way too much flour he eventually succeeded in cultivating two healthy wild sourdough starters: Tommy & Atticus. 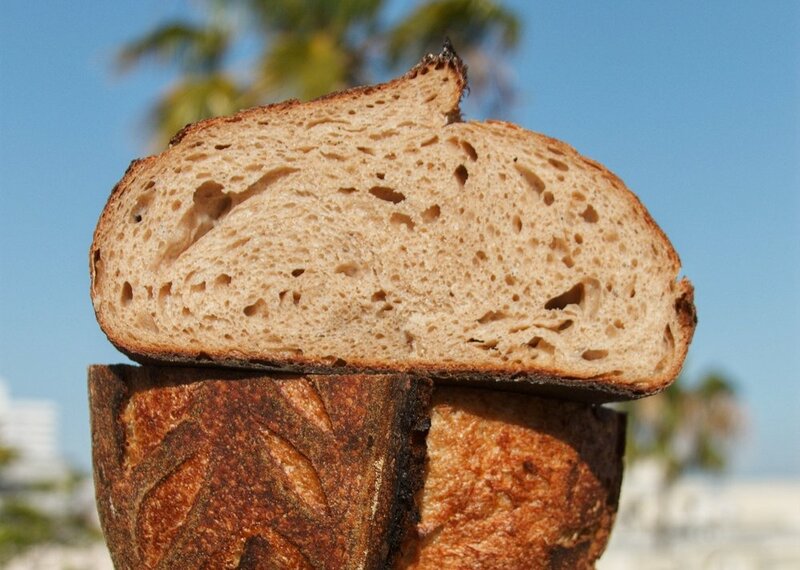 With Tommy & Atticus ready for action, Garrett began producing top quality breads from the shores of Manhattan Beach. After your first loaf, you may never be able to go back to store bought bread again. All breads are prepared using a Tommy & Atticus original whole wheat sourdough starter and fermented for a minimum of ten hours. Bread are prepared in a home kitchen which also processes peanuts and tree nuts. Place all orders using the order form below. Fresh bread will be baked and delivered every Wednesday. Please submit your order by Sunday at 7pm to guarantee delivery. Payment will be processed via venmo or credit card upon delivery. The people have spoken and we have listened! Tommy & Atticus is now offering a subscription bread service. Sign up for a subscription service using the drop down menu below. By signing up for the subscription service you will receive an email confirming your delivery dates and specifying the monthly breads. If your order will be delivered please provide your phone number. The following breads are available for single orders delivered April 24th. If you would like multiple loaves please indicate in the message field below. Payment for all loaves will be processed via venmo or credit card after the loaves have been delivered. Please indicate if you have any special requests. If you select delivery please provide a delivery address below. Thank you for supporting Tommy and Atticus! Orders will be confirmed via email within 24 hours. Payment will be processed upon pick-up / delivery of bread. + How will I receive my order? Tommy & Atticus will either be delivered to provided address or it can be picked up from my home in Brentwood, Los Angeles. + Where is Tommy & Atticus Delivered? Current delivery area includes West Hollywood to Culver City and all of West Los Angeles including Brentwood, Santa Monica, Venice & Marina Del Rey. Please inquire about special delivery if you live outside of the delivery area. + Can Tommy & Atticus be shipped? Unfortunately, I am unable to ship Tommy & Atticus bread at this time. + What is the best way to store Tommy & Atticus bread? Any exposed parts of the bread should be covered with aluminum foil or plastic wrap and then the loaf should be stored in the provided paper bag on the counter. A loaf will last approximately a week on the counter. If you want the loaf the last longer place it in a sealed plastic bag inside of the fridge. + What payment methods are accepted? Venmo (@tommyandatticus), cash and all credit cards are accepted. + Do you offer a subscription bread service? Yes! Please use the bread order form above to sign up for a subscription bread service. 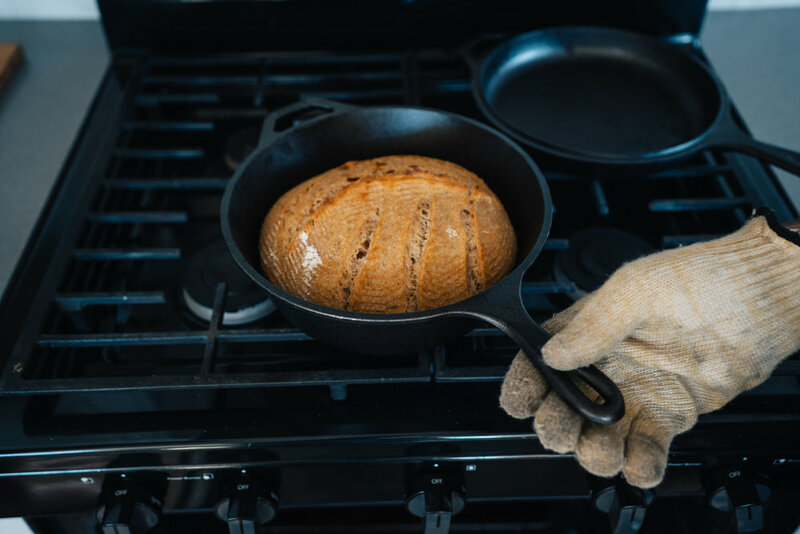 By signing up for the subscription service you will receive an email at the beginning of the month confirming your delivery dates and specifying the monthly breads. + Do you accept special orders? Yes! Special orders can be placed using the bread order form above and select special orders under the available breads section. + Ordering bread is great, but does Tommy & Atticus offer bread baking lessons? + What the heck is a wild sourdough starter? How is it different from commercial dry active yeast? A sourdough starter is how we cultivate wild yeast in a form that we can use for baking. When we combine flour and water we begin to cultivate wild yeast which in turn forms a symbiotic relationship with Lactobacilli, a naturally occuring bacteria which produces lactic acid and is responsible for the sour flavor. Commercial dry active yeast was popularized around the turn of the 20th century and drastically altered bread production. Unlike wild yeast, commercial yeast is predictable and proofs bread in a fraction of the time, but the convenience comes at a cost. With commercial yeast the dough is not properly fermented which results in a completely different bread that is harder to digest and lacks vital nutrients. + Are your breads gluten free? No, my breads are not gluten free, but they are all made using a wild sourdough starter which helps break down gluten, making the bread easier to digest. 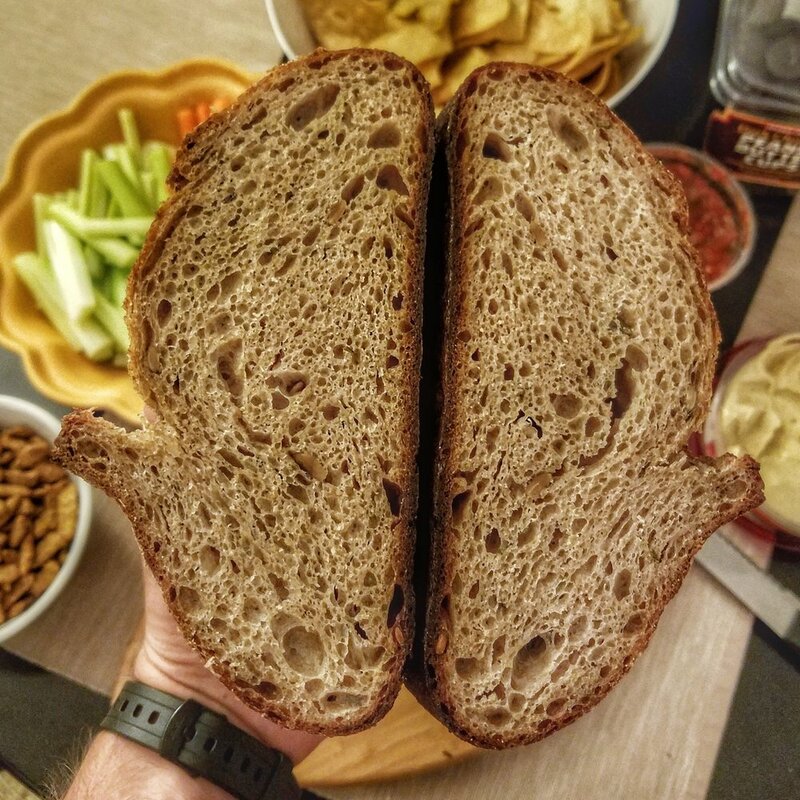 There is ongoing research, but many people who are gluten sensitive have found that they can eat bread if the dough was properly fermented using a wild sourdough starter.